The South East Asian country of Malaysia is a mix of two halves, separated by the South China Sea. The peninsula boasts the modern city of Kuala Lumpur, with its sprawling suburbs and adjacent towns, while the Borneo is renowned for their breathtaking, untamed landscapes, wildlife, spectacular diving sites and diverse cultural heritage. From timeless tropical rain-forest and national parks to rugged mountain terrains, there is much to explore and experience in this melting pot of world’s cultures. Here are the top 8 Malaysian adventures for nature and adrenaline lovers alike. For those who felt they do not have the physical abilities to climb up one of South East Asia’s highest mountain, it’s time to put Mount Kinabalu back on your list of attractions to visit. There is now a 1.2 km long Via Ferrata in Mount Kinabalu, which covers routes of varying difficulties catering to all hikers, from beginners to seasoned. The Mount Torq Via Ferrata is basically a mountain path created out of steel rungs, rails and cables embedded into the rock face. Using this, hikers can go on routes previously only accessible to more experienced rock climbers. The Via Ferrata starts at a whopping 3,411 m and takes you all the way up to 3,776 m, making it one of the world’s highest iron roads. Those after an exhilarating, adrenalin-charged experience can opt for the challenging four-hour hike up to Low’s Peak, Mount Kinabalu’s highest point at 4,095 m, which offers some truly awe-inspiring views and hidden corners of the mountain plateau as well as a traipse across a 22 m footbridge suspended at 3,600 m above sea level! Located about 120 km south from Sabah’s capital city Kota Kinabalu, the Klias Wetlands is a haven of natural paradise. With its lush mangrove forests that are home to a myriad of birds, reptiles, mammals and insects, the wetlands is a must visit for nature and animal lovers alike. A deep river winds through it all, and the best way to experience the Klias Wetlands is through a guided tour down the river. Make sure that you have an experienced tour guide who can introduce you to the great, diverse wildlife that include the long tail macaque and the elusive proboscis monkey, and endangered species. 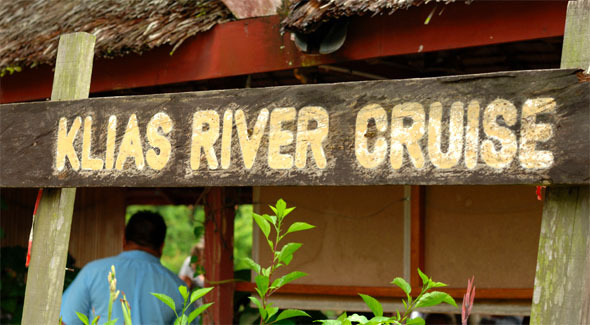 The Klias river cruise typically starts at 3 pm and continues into the evening. Come nightfall, the forest comes alive with the song of nocturnal animals and insects but the highlight of the evening cruise has to be the breathtaking sight of thousands of fireflies lighting up the riverbanks, a truly once-in-a-lifetime experience. Other than adventure, check out as well our list of 8 Must-Try Malaysian Food to whet your appetite! Located 45 km off the coast of Kuala Terengganu in the South China Sea, Redang Marine Park is a world-class dive site that will satisfy even the most jaded diver. With turquoise blue waters and an abundance of spectacular marine life, this little jewel is a popular destination for both diving enthusiasts and beginners. 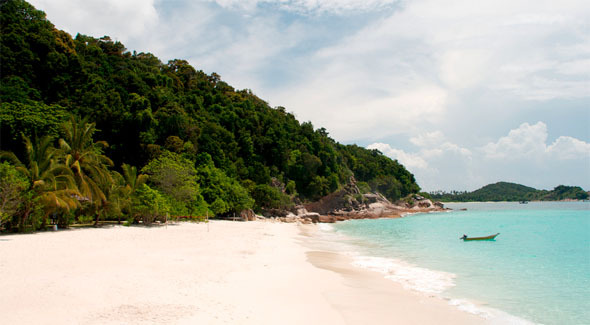 The Marine Park covers all 9 islands in the Redang Archipelago, but the most popular destinations are Redang Island and Perhentian Islands. In contrast to the backpacker theme of Perhentian Island, Redang has a more up-market image, with the island featuring more than half a dozen or so resorts. Snorkeling and diving are the more popular activities here, and rightly so as the coral reefs can be quite spectacular. Redang is a popular place to complete the beginner’s diving course, but some of the sites further out can have strong currents, and are more suitable for experienced divers. Redang is also the site of two historic shipwrecks, which were sunk at the beginning of World War II. 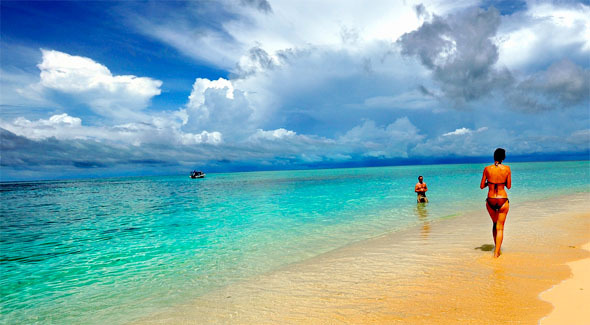 Labuan is a group of one large and six smaller islands off Sabah in East Malaysia. The waters surrounding these seven idyllic islands are home to some of Malaysia’s richest coral and fishing grounds, which makes this another attractive site to marine lovers and scuba-diving enthusiasts. Apart from the colorful underwater coral reefs and a dazzling variety of marine life, Labuan is also the site of four wrecks, including two from World War II. The four wrecks, locally known as the Australian Wreck, the American Wreck, the Blue Water Wreck and the Cement Wreck, are some of the best wreck diving sites in Asia, ranging from novice to serious wreck diving with penetrations into the hulls. Local dive schools provide various introduction and basic wreck diving training courses leading to a PADI Wreck Diver Specialty rating and TDI Advanced Wreck Diving course. Diver’s, be sure to also visit nearby Indonesia for some of the best diving in the region. Check out our photographic journey through the Diving’s Holy Grail of Raja Ampat. The Sipadan Island claims to be the world’s best dive site. While this is a big claim, the diving here is certainly world class, with more than 3,000 species of fish and hundreds of coral species that have been classified in the ecosystem. In 2002, resorts around the island have been closed to protect the environment, so visitors will need to stay on nearby islands, such as Mabul or Semporna, and take a boat into Sipadan to dive. Because Sipadan is now a protected site, only 120 dives are allowed daily, so it’s best to dive as early as possible to beat the crowds and increase your chances of getting on the dive roster. Be sure to check with your dive operator that the dives are done with permits, as some companies have been caught diving without permits. Sipadan is surrounded by very rich reef life with sea turtles and white tip reef sharks seen on almost every dive with visibility ranging from 10m to 30m and above. 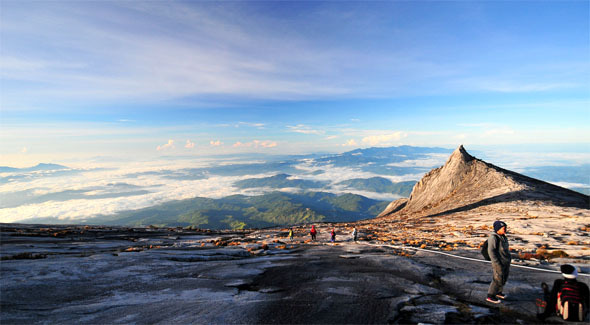 Malaysia’s first UNESCO World Heritage Site is Kinabalu National Park, which ranks amongst the most popular tourist spots in the whole of Malaysia. Established in 1964, this national park is home to faune and flora spread over four climate zones, making it one of the most important biological sites in the world. Apart from many carnivorous plants, the park is also home to many endemic animal species, including the Kinabalu giant red leech and giant earthworm. The national park is located on the west coast of Sabah and covers some 754 sq km surrounding Mount Kinabalu. The park headquarters is the main point of entry for most visitors and is easily accessible from the rest of Sabah via highways and roads. Leisure travelers will enjoy exploring the park as it requires little endurance and you can enjoy trekking at your own pace. Accommodations are available in the park near the park headquarters. Marine lovers would also enjoy this write up on Diving in the 3 Pearls of Indonesia only here in Unearthing Asia. A must-visit for the intrepid traveler, the Mulu Caves National Park is where you’ll find one of the longest networks of limestone caves in the world, hidden beneath forested slopes. Lubang Nasib Bagus (Good Luck Cave) is one of the biggest caves here, containing the world’s largest underground cavity known as the Sarawak Chamber, as well as the Deer Cave, the world’s largest cave passage. The Clearwater Cave, meanwhile, contains an extensive river system that winds its way underground over 30 miles. Those who prefer their activities above ground can test their endurance by conquering the Pinnacles, the serrated limestone peaks dominating the park’s high country. Climbers require stamina and several days of rigorous trekking to make their way to the top. The Taman Negara National Park is Malaysia’s largest, a truly national and natural wonder which crosses the state boundaries of Pahang, Kelantan and Terengganu. 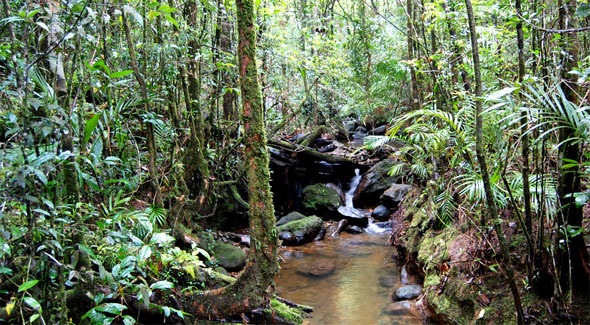 It is home to one of the world’s oldest tropical rain-forest blessed with a stunningly diverse ecosystem. 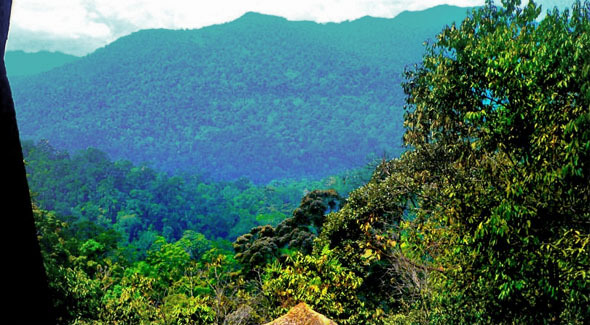 There is plenty to see and do in Taman Negara, from white-water rafting, to trekking the various trails within the park, with the latter an obvious choice to experience jungle life. The Teresek trail will lead right up to the world-famous Taman Negara canopy walkways that are 510 m long and suspended some 45 m above ground, giving trekkers a mesmerizing bird’s eye view of the jungle. Try and spot the gigantic Mengkundur tree, or the various wildlife, such as elephants, wild boars and monkeys, among others.